I can't remember an evening filled with more vocal joy than Tuesday night's Kilbourn Concert with mezzo-soprano Stephanie Blythe. And I'm not alone: Given the volume and enthusiasm of its applause, the audience might have been echoing the plea of one of the songs on Blythe's program, Jacques Brel's "Ne Me Quitte Pas" ("Please Don't Leave Me"). Blythe's vocal career has taken her to many of the world's major orchestras, opera companies, and concert halls. And while she has received acclaim for her opera roles, last night's program consisted of non-operatic works, songs by composers ranging from Francis Poulenc to Noel Coward. 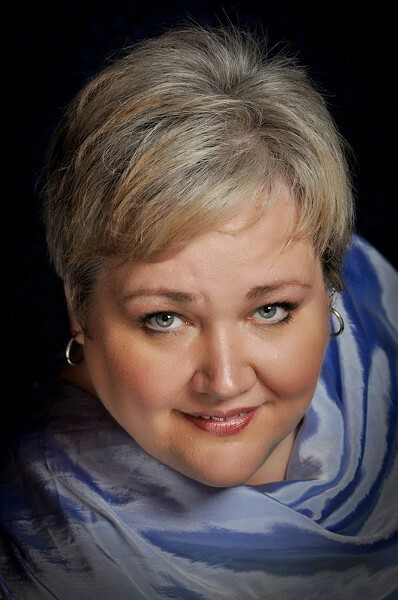 Her accompanist, pianist Warren Jones, is an accomplished musician in his own right, and the program was clearly a collaborative effort between singer and piano. It was a recital full of melody and grace, perhaps a little surprising because all of the songs were written in the 20th century. The opening set of five songs by Francis Poulenc -- a traditionalist, compared to the other composers on the program -- set the style for the evening. Like all of the songs on the first half, these were in French, and the concert notes provided no translation. Instead, Blythe and Warren Jones recited the poetry prior the songs' performance. This was also the case for the second half of the recital, even though the songs were all in English. The focus therefore remained on the stage. Blythe's mezzo-soprano is a huge, gorgeous sound, obviously suited to her operatic career. The five Poulenc songs were a mixture of melancholy and rapid rhythmic vitality, with exuberance winning out. Blythe's ability to sing gracefully, blissfully, and with great intimacy was demonstrated in Leo Ferre's "La Vie Anterieure" (1957). Jacques Brel's "Amsterdam," coming at the end of the first half -- the most challenging of the evening's songs -- gave her the opportunity to show off her huge, dark tone in a full operatic and dramatic fashion. The style of second half of the recital changed into a more cabaret nature, with songs by Benjamin Britten and Noel Coward, and Blythe's engaging voice, humor, and affinity to these pieces were a delight to hear. She had earlier shared with the audience her mother's love for these kinds of songs, which she had heard while growing up. Britten's "Calypso" takes us for a wild taxicab ride -- faster and faster -- while "Funeral Blues" is a dirge with a deep rumbling bass motive in the piano. The final five songs of the evening were written by Coward between 1929 and 1935, and in Blythe's performance of "Nina," we were treated to her on-stage professionalism and her ability to deal with memory lapses, turning the song into nothing short of a triumph. Having lost her way in the song, Blythe began to make up words, hoping to find her way back in, singing: "This song is hard, and I am lost." Finally coming to a full stop, she explained to the audience what we had missed in the song, then returned to it, and finished in a blaze of showmanship. The crowd could not restrain its enthusiasm. Finishing with the song "The Party's Over Now," Stephanie Blythe had given us a rare evening of storytelling, superb vocalism, humor, and professionalism. And she rewarded the audience with two encores.